The Censor Board ended up ruining Bollywood's careful planning. Deepika Padukone's new film Padmavat was meant to have released on December 1, 2017 (with the title Padmavati) but was postponed after its application for certification was rejected. 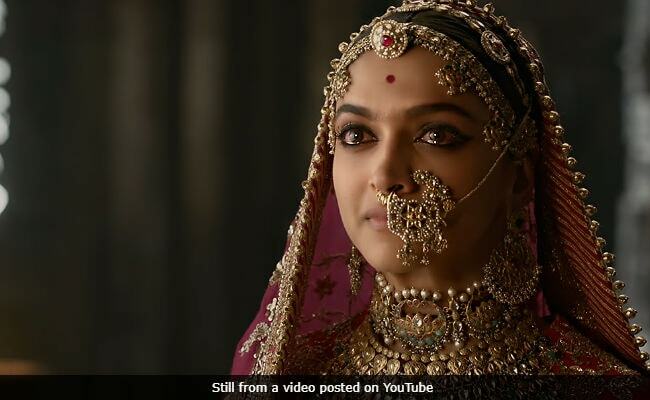 Now passed by the Censor, Padmavat will reportedly open on January 25, to capitalise on the extended Republic Day weekend. The new date is forcing the film industry to rejig its calendar - the holiday weekend was booked in advance for Akshay Kumar's PadMan and Aiyaary, starring Sidharth Malhotra; while PadMan is bracing for a clash, the latter film has backed away. Trade analyst Taran Adarsh reveals that Aiyaary will now release in February. It's OFFICIAL... #Aiyaary shifted to 9 Feb 2018... Neeraj Pandey directs... Stars Sidharth Malhotra, Manoj Bajpayee, Rakul Preet Singh, Pooja Chopra, Naseeruddin Shah and Anupam Kher. Date allocation is crucial and despite the logistical hassles of rescheduling, few films want to go up against competition on the scale of Padmavat which boasts a stacked cast of Deepika, Ranveer Singh and Shahid Kapoor. Plus, the first two actors and director Sanjay Leela Bhansali have already delivered two previous hits in Ram-Leela and Bajirao Mastani and could well be headed for a hattrick. Akshay and PadMan are standing their ground and while Akshay has usually bested the other film in earlier clashes like Rustom vs Hrithik Roshan's Mohenjo Daro, its worth remembering that Bajirao Mastani was the underdog when it opened against Dilwale (Shah Rukh Khan + Kajol + Rohit Shetty) and emerged golden. Opinion online seems equally divided between which film will make more crores but despite Twitter's predictions, it's worth keeping in mind that last year's Republic Day collision between Shah Rukh Khan's Raees and Hrithik Roshan's Kaabil was lukewarm for both parties, earnings-wise. Padmavat is based on the legend of Rani Padmini of Chittor, played by Deepika Padukone. Ranveer Singh and Shahid Kapoor play Alauddin Khilji and Rawal Ratan Singh.